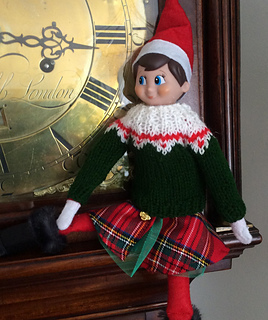 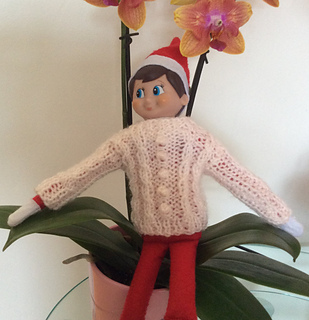 Do you have one of those little elves that sits on the shelf in the run up to the Christmas holidays? 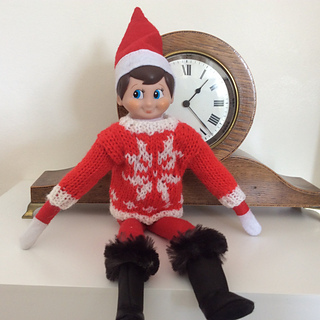 Here is a fun way to change his appearance by dressing him up in a selection of holiday sweaters. 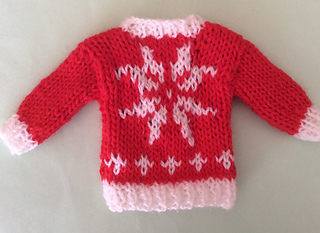 The pattern gives directions for three sweaters, one is a snowflake design, one is a cabled aran design, and the third has a coloured patterned yoke. 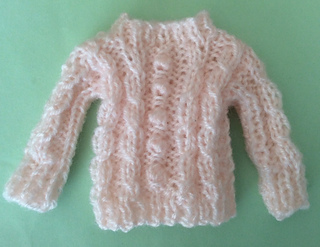 Very easy and quick to knit using scraps of DK yarn. 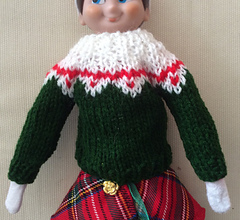 To fit an elf 12” tall and 5.25” around the chest.